Latin America is FINCA's birthplace. The Village Banking lending methodology was conceived in Bolivia, before spreading throughout South and Central America. The region includes some of the poorest countries in our network. Besides income inequality and crime, they are prone to hurricanes, flooding and earthquakes. Our clients regularly face these challenges with resilience and determination. Credit and savings are important tools to recover from setbacks and to gain a better future. Financial exclusion is high in Latin America, especially for women and the poor. Only 37 percent of woemn have access to a bank account in the countries where we work, compared to 46 percent of men. That figure falls even further to 27 percent for those at the bottom of the ladder. Three out of four borrowers are women, putting Latin America in the lead on female outreach. In addition, Guatemala and Ecuador also have significant rural outreach, while Honduras and Nicaragua are operating in more urban markets. Most of FINCA's subsidiaries in Latin America are medium-sized, with 25 to 50 thousand borrowers. Nevertheless, three of them -- Honduras, Ecuador and Nicaragua -- have been licensed to take deposits, which allows them to offer a wider range of services beyond credit. In fact, savers outnumber borrowers by more than 2 to 1 in Ecuador and Honduras, showing that there is robust demand for services that allow people to safely store and accumulate their savings. FINCA's clients in Latin America face serious challenges in their daily life. In Honduras, about a third of our borrowers lack water and/or electricity in their homes. In the whole region, nearly half of our clients live in a household where the main earner has less than a secondary education. In Guatemala, this figure is over 75 percent, placing it right ahead of Afghanistan, a country which has been at war for most of the last several decades. These results sharpen the focus on improving the educational attainment and income-earning potential of our clients' children, so they can break the cycle of poverty. FINCA's mission is to provide tools and financial resources to these families -- especially the mothers -- so they can provide a basic quality of life that will foster this change from one generation to the next. FINCA has completed its Enterprise Survey in Haiti, Honduras and Nicaragua. The data we have so far shows that Latin America is very close to the global average in most employment and income indicators. The typical FINCA client employs 2.5 people in her business, including herself. A quarter of this employment is due to the loan from FINCA. Profits comprise about 30 percent of total sales. Competition is very stiff, however, so the vast majority of paid workers are earning wages below the national poverty line. Many of our Latin American clients are themselves quite poor, and their businesses are usually a means of surviving under tough circumstances. 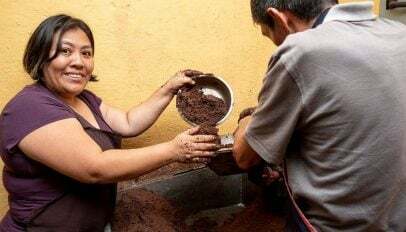 FINCA subsidiaries in Latin America excel in reaching women, most of whom are the primary breadwinner in their households. In Nicaragua and Honduras, about half of these women are also single parents who carry the full burden of their family's well-being. 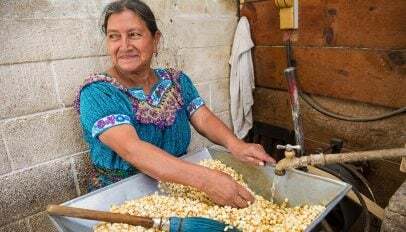 By contrast, our clients in Guatemala are living in more traditional rural families and contributing supplementary income to their household. 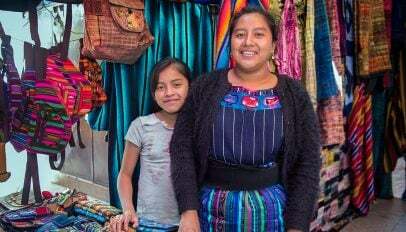 Whatever their family situation, virtually all of the women in Latin America are running their own enterprises. In other regions, it is relatively more common for men to be involved in our clients' businesses. Unsurprisingly, Latin America is the only region in which the employees in our clients' firms are also mostly women, showing that female entrepreneurs can a driving force in creating jobs for other women. Each borrower comes to FINCA with a unique goal in mind. In Haiti, most of our clients are focused on expanding their businesses. Meanwhile, in Honduras, clients are striving for a wider range of goals, including improving their home, and purchasing assets. Nicaragua's client survey is presently in the field -- check back in the fall of 2018 to see the results.